The perfect person to hold the goth painted egg of Crepaway is Abby Sciuto the Pauley Perrette character on NCIS. Goth, but fun and kind-hearted at the same time. 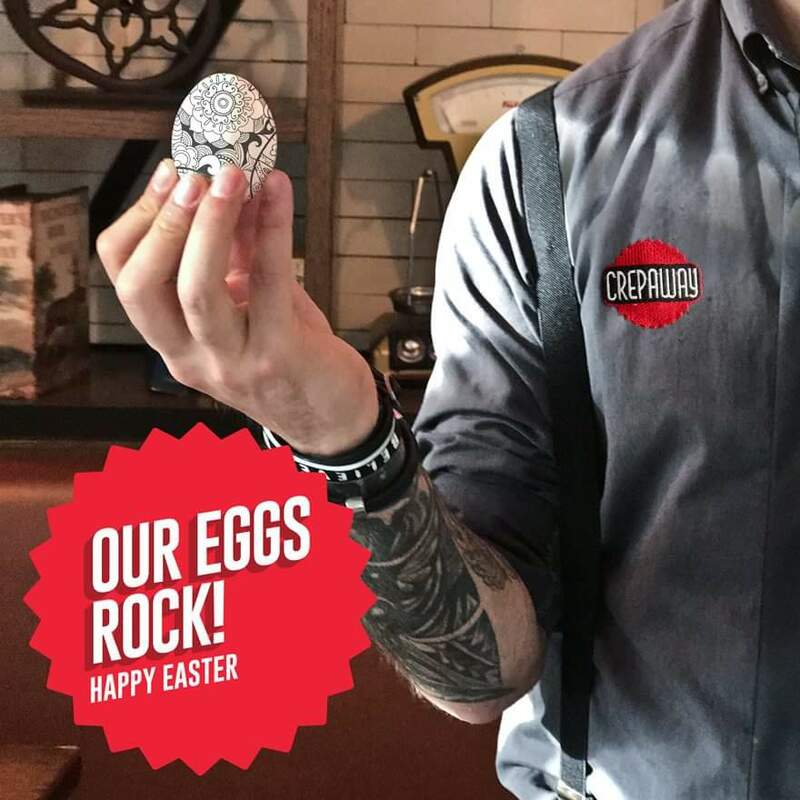 So it seems Crepaway is aiming for the pierced, tattooed millennials who still want to go with the rituals of Easter because they're still kids (and not just inside!). "Come as you are" right?